Are You Prepared Enough for UNIVERSITY? 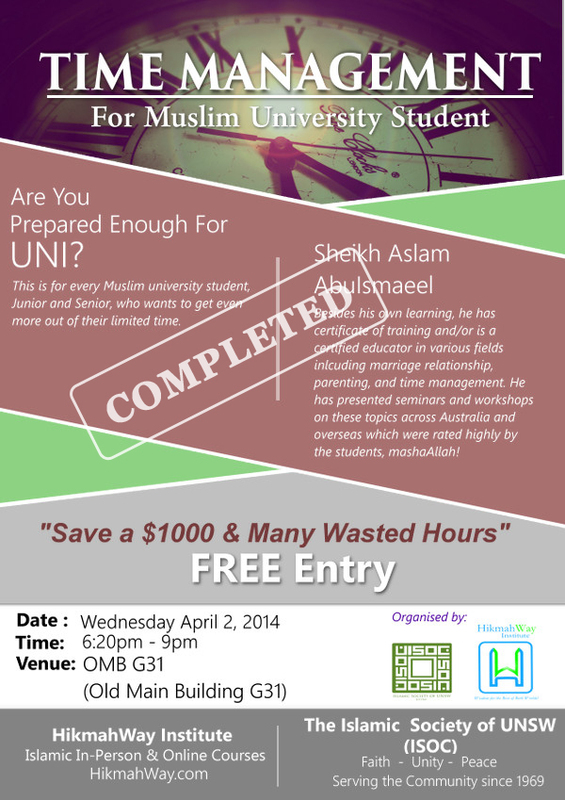 This is for every Muslim University Student, Junior or Senior, who wants to get even more out of their limited time. Besides his own learning, he has certificate of training and/or is a certified educator in various fields including Marriage relationship, Parenting, and Time Management. This short course is specific for University students though others may benefit a little. It covers strategies to manage time and University workload to enable students to get best performance and results they can without stressing out or cramming on the last minute. This also touches very briefly on Project management strategies relevant to University assignments.